This Information Sheet provides an introduction to monitoring and evaluation for Module 3: Monitoring and evaluation of climate change interventions. You will have come across both these terms – monitoring and evaluation – in Module 2 when looking at the project life cycle – preparation, implementation and completion. These two terms are often used simultaneously, but refer to different processes and occur at different times in the lifespan of a project/programme. This is a systematic and ongoing process of collecting, analysing and reporting on achievements in a specific project. Typically monitoring focuses on performance and how this, over the long-term, contributes to achieving the project deliverables. What activities have been performed? What progress has been made in terms of time, cost and quality? Whether indicators have been achieved? provides opportunities for learning. This can be used to establish best practice, inform future planning and allocation of resources, and build knowledge that facilitates sound decision making etc. What objectives, outcomes, indicators and targets have been met? What has been achieved in relation to these? Evaluation can take place at different points in the project – this could be conducted at the beginning the project (i.e. baseline), then mid-way through, and finally upon completion. A framework is ‘a system of rules, ideas or beliefs that is used to plan or decide something’. Within the Monitoring and Evaluation context, a framework is therefore a system used to guide the monitoring and evaluation process. It is based on what constitutes monitoring and evaluation, what is important in this process and key constructs/concepts around monitoring and evaluation (ideas and beliefs) and how (rules) it should be conducted. The M&E framework adopted by an organisation, thus guides practice. An M&E framework and a Theory of Change (ToC) or Logframe, as described below, are two ends of the same process. Whereas the ToC or Logframe is the result of a consultative and planning process with stakeholders, and is prepared at the beginning of the project, its elements should be used to monitor progress and evaluate effectiveness/ impact. So the goals, indicators, assumptions and so on, will be examined and the evidence of achievement scrutinised to determine correlation. 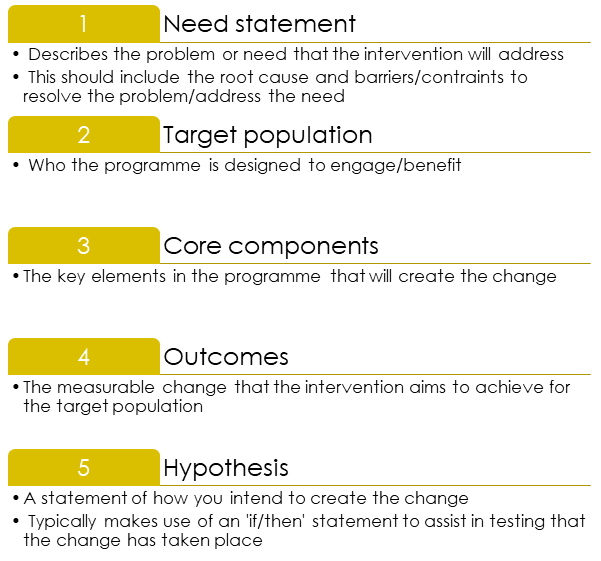 The Theory of Change (ToC) is a tool used to describe how and why a desired change is expected by ‘mapping out’ the activities/interventions and how these will lead to the achievement of the final intended impacts for the programme. A ToC is always linked to a specific context. This is used when evaluating impact and allows evaluators to extrapolate learnings from one site/intervention to another site/intervention. These are the high-level statements that will need to be met or fulfilled in order for the project to be deemed to be successful. They should be clearly and succinctly crafted. Backmapping means moving downwards towards actual actions. It is about becoming clearer about what is required and also making connections between different ideas. Pre-conditions need to be met before the next step can be taken. For example, training may be required before certain equipment should be handled. Or stakeholders may need to have acquired a certain level of literacy to be able to read gauges, for example. An assumption is often challenging to articulate as it may be ‘assumed’ to be natural, or given, or fixed. But surfacing these ideas enables then to be interrogated – especially as different stakeholders may have different, unspoken assumptions. The idea is to reach agreement on assumptions operating in the project.. This is the item being measured. It is usually necessary to describe the population being measured – such as, in the logframe below, the women in a village who are involved in agriculture. You may be asked to state the minimum, or threshold, for success – the lowest number or percentage required to achieve success. 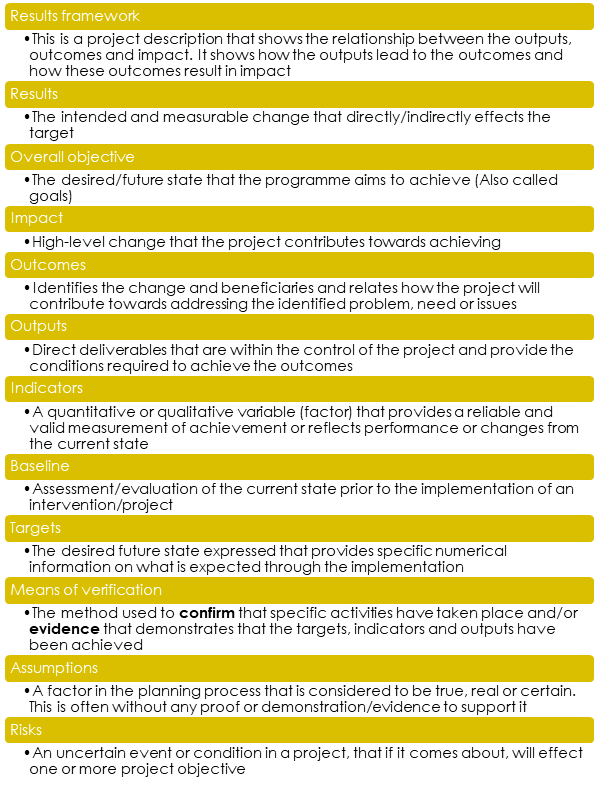 These are the various activities/ tasks that need to be completed in order for the outcomes of the project to be met. This is where the change process really happens. What is the relationship between a Theory of Change and a Logframe? A ToC and a Logframe both attempt to describe a change project. But they do so in very different ways. One COULD say that a ToC is more complex and ‘messy’, describing the preconditions that need to be in place before a change initiative can be implemented properly, taking care to think about assumptions and clarify these, and so on. A ToC can also indicate relationships and interrelationships between concepts. A Logframe is simpler, clearer, but also more rigid. It presents a summary of the proposed project in 16 ‘boxes’. The interrelationships depicted in a ToC are not evident, except for the hierarchy of the structure from Goals to Activities from top to bottom of the table on the left hand side, as opposed to a Project Summary on the left hand top row to Risks/assumptions on the right hand top row. It is certainly simpler and easier to see at a glance what a Logframe presents. Outcome/Purpose (what will be achieved, who will benefit, and by when). 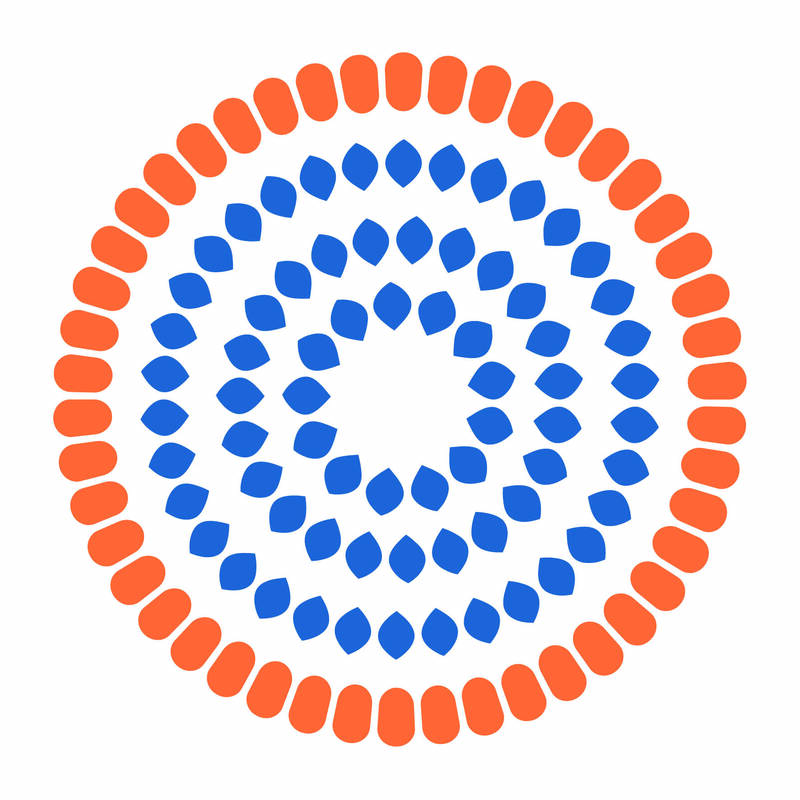 Outputs (specific results the project will generate). Activities (what tasks need to be done in order for the output to be achieved). Project summary (explaining the objectives). Objectively verifiable indicators (how you will measure the achievements). Means of verification (how you will collect the information for the indicators). Risks and assumptions (external conditions needed to get results). Odiri, P. 2017. Reducing vulnerability from climate change in Foothills, lower Lowlands and Senqu River Basin in Mohale’s Hoek District in Lesotho, 2015-2020. Integrated Project Monitoring and Evaluation System. Final Report. Formative evaluation Takes place during the implementation phase and helps guide the overall process of improvement for the programme. Theory of change Provides a detailed description of how and why a desired change is expected in a specified context.